I am enjoying learning the ropes as a new ringer. 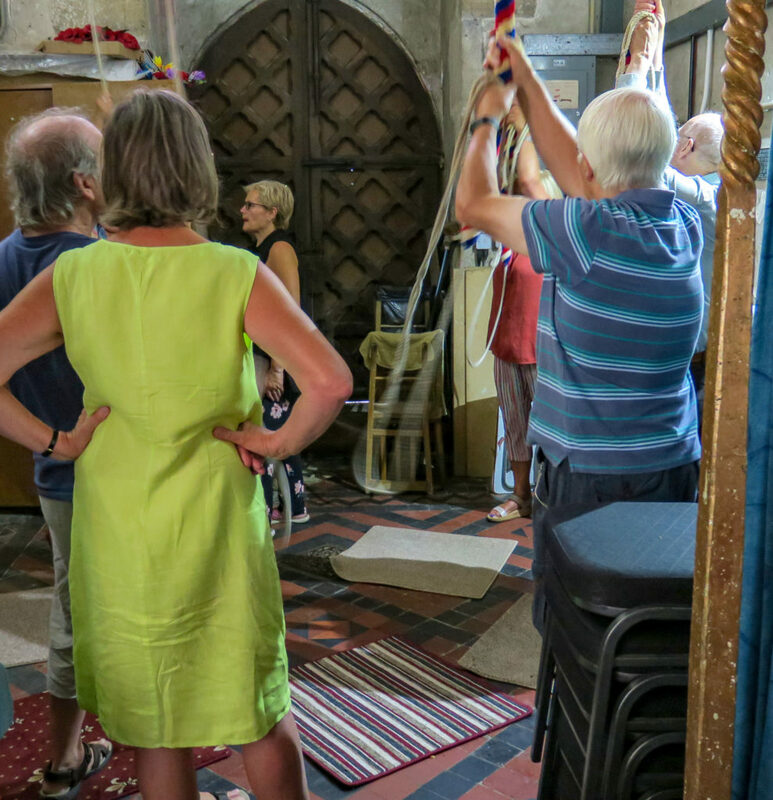 Our trainer, Debbie, takes us to other towers to try different bells and on a beautiful Saturday in August she took us on a magical mystery tour of 5 towers in Sussex. We were joined by experienced and novice ringers from other local towers, so in our party, over the day, more than 30 ringers bounced around the beautiful Sussex back country roads to ring. 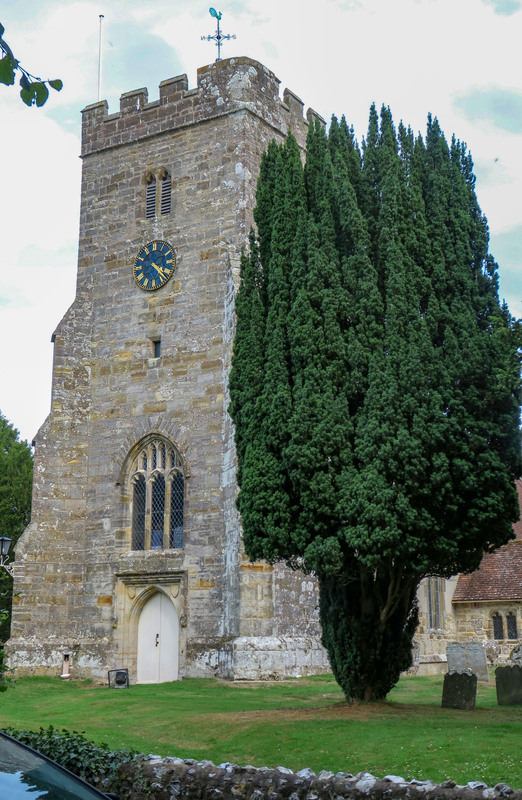 All the towers a different, and whilst most were changed by the Victorians during the big national church building programme towards the end of the 19th Century, many towers are still accessed through doorways and staircases built for Saxons of around 5 feet 4 inches. 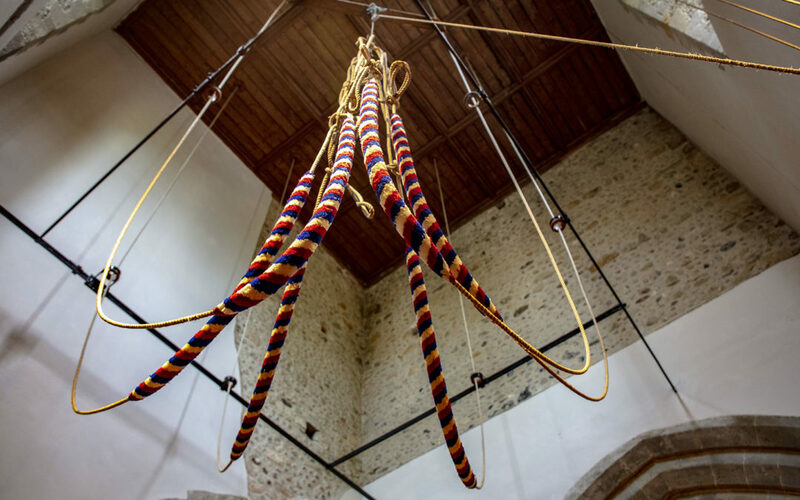 Ringing chambers are similarly often restricted in size, and in our first in Uckfield the door had to be locked when ringing started as one bell rope was in the entrance threshold. 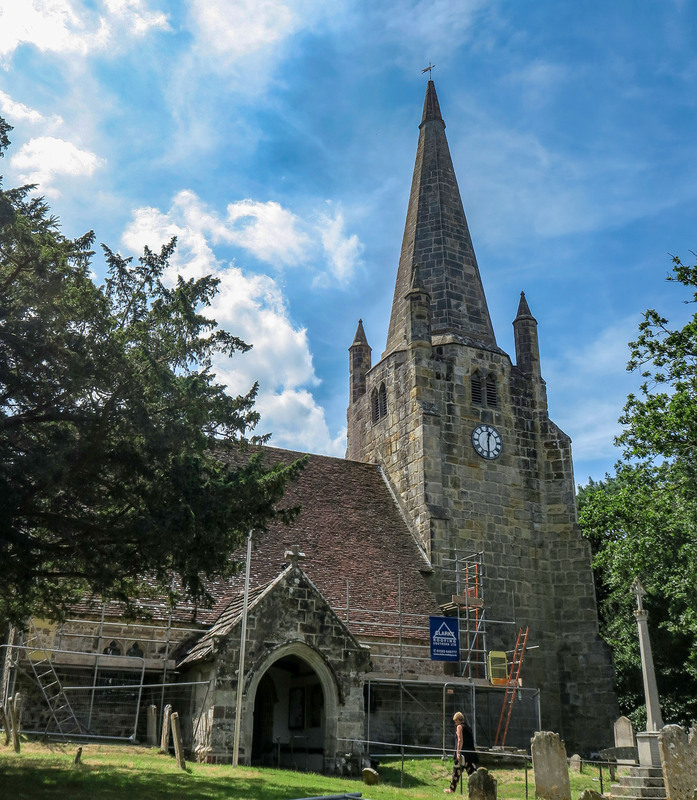 The church architecture is subtle in variation, some traditional Sussex flint build, some using Sussex Wealden sandstone whilst occasionally the two are mixed. 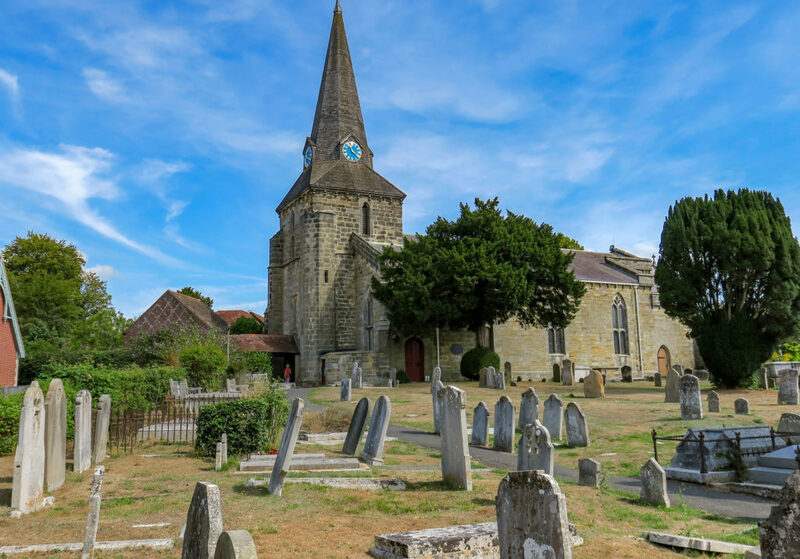 Their layout also reflects times of smaller communities than now on our overcrowded island, with the village school abutting the churchyard walls and often alms houses alongside too. 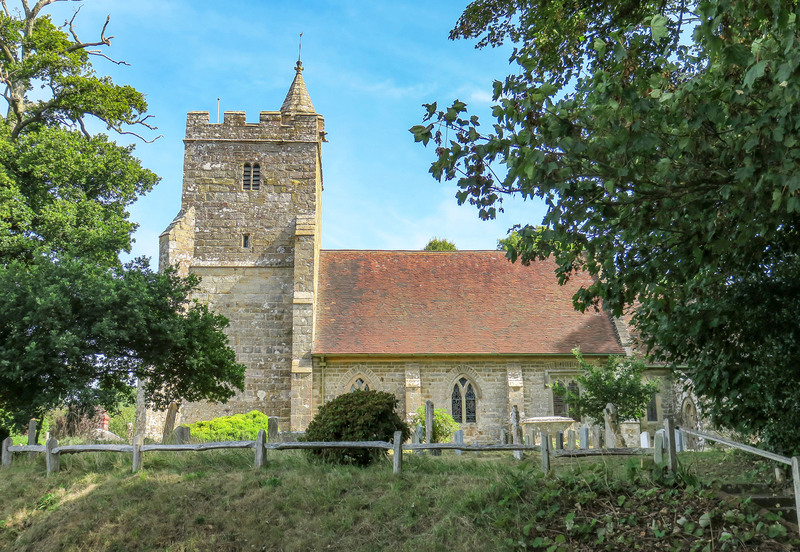 Noticeably the size of the Rectory showed how the church ‘living’ for the officiating priest was often quite a way above that of most of his flock. 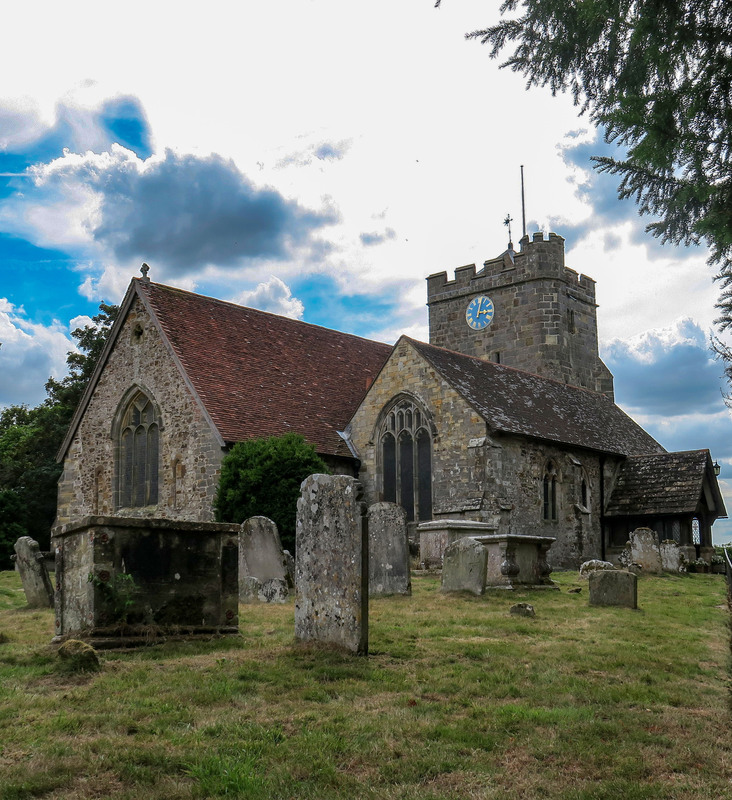 I was very much the novice in the party, watching and learning, but I was given the opportunity to ring in ‘rounds’ in every church, and definitely struggled that day. Debbie is my tutor and minder, and when I ring she is the safety, standing in front of me ready to step in and take control if things go wrong. Her voice is the only one I hear when ringing, and she is an excellent tutor. The pub lunch was good for getting to know one another and the single beer helped hydrate after the sauna like conditions of some of the tower ringing rooms. The social element should have helped me relax in my ringing as I tend to try too hard. Sometimes I hear my dads voice in my head saying, “don’t try so hard, son”, often Debbie’s voice saying ‘relax’ or ‘take a breath’. Alas it was not to be, and the turn at ringing in Waldron tower was my undoing that day. 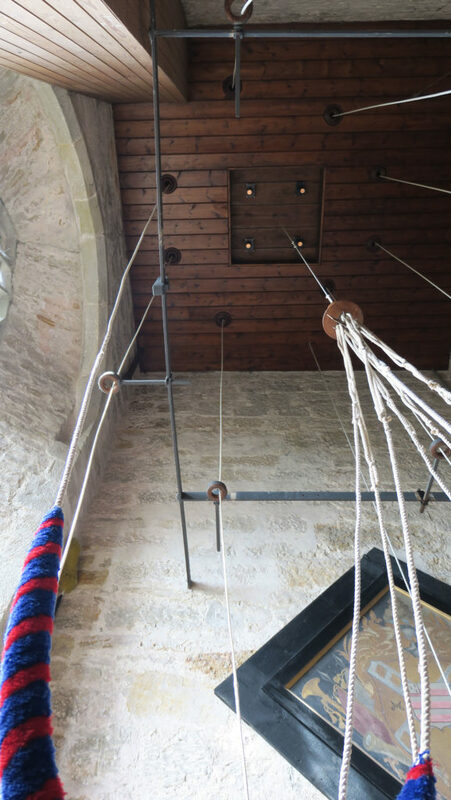 Geoff, who was ringing the tenor opposite, said that he saw I lost control of the rope and was suddenly lifted by it. I lost control on the hand stroke and pulled on the backstroke to try to get back control, then recognised that something was going wrong. I was lifted a couple of feet off the floor. As I rose at the end of the rope I obeyed Debbie’s shouted “let go”, a command drummed into new ringers as one that must be immediately obeyed. Bless Debbie’s presence of mind otherwise I might have tried to hang on with more serious consequence. I dropped safely to the floor. I have an image in my mind of seeing the rope guide and clamp coming down to hit me on my right arm, bruising and grazing it. The clamp rebounded to hit Debbie on her foot near her ankle. No bad after effects thanks in part to the amazing preparedness on a by-stander, who produced an ice-pack from a commodious handbag, and a tube of arnica. Liberally applied both to my biceps leaving me regrettably with a red white and blue bruise stripe across my arm like a French tricolour – adding insult to injury…it could have been an English or Welsh bruise dammit! 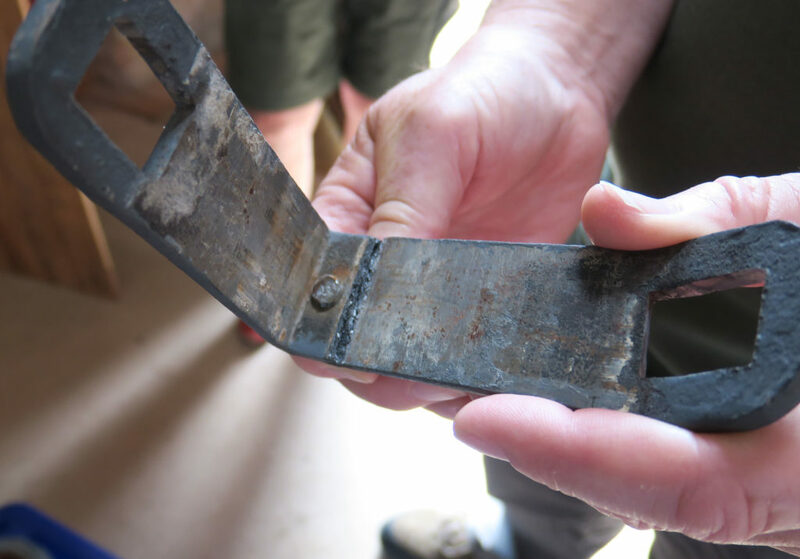 The broken part was removed from the framework. It could not have been seen on a visual inspection, but I was assured it could have gone at any time. Not my fault it seems. I rang in the next tower and no-one ran away although I was less controlled, shaken but not stirred, probably less certain of what was going to happen when I pulled on the ‘sally’ again. I’m told I’ll be allowed in the bell tower on next practice anyway. Nobody is taking me away, and I remain dying to take part along with the other 1400 newly recruited ringers now learning, in our act of in #Ringing for Remembrance. I am proud you will be in the history book for one of the ‘1400 bell ringers for the 100 years remembrance service on 11th Novemeber 2018’. Keep practising and hope no more injury. 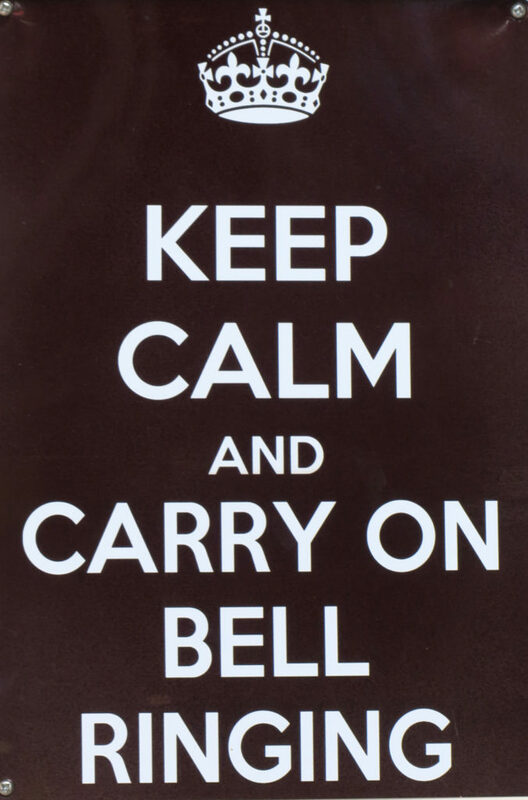 Of course, I am proud of all the bell ringers taking part. I will listen to as many rings I can get on the day. God Bless!